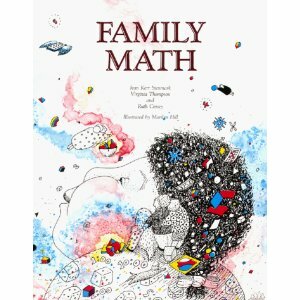 I've been recommended a book called Family Math for my younger children. Written by Jean Kerr Stenmark et al, and first published in the 1980's, Family Math is full of hands on mathematics ideas for the 5-12 year old. Topics covered include number, space, measurement, data collection, and the usual contingent of maths subjects, but they are presented as games, experiments and problem solving challenges rather than the usual rote learning and copying out of problems so common in traditional maths programmes. This book is presented in a way that makes learning relevant and fun. It satisfies the requirements of the Education Department mandates for home education as you work your way through the book, and can support your child's learning even if you just delve into it occasionally for ideas when you're a bit stuck. Materials required for the activities are those generally available within the average household. Set up time required seems to be minimal for most activities, leaving more time for actively supporting your child in their learning.